I love recruiting, despite the bad rap it gets. It's an extremely challenging yet rewarding role for any young professional. And, like any career, getting started can be challenging. There are definitely some things I wish someone had told me when I was going into my first recruiting job at an education reform startup. With that in mind, I made a list of the things I wish I had known and I believe any newbie recruiter should be told when they are starting their career. Recruiting is at the center of growth for organizations, and not only do you have a front-row seat, you’re a major player. You’ll be going so fast, scheduling interview panels at a breakneck speed, an error here or there is inevitable. Don’t beat yourself up, just learn from it. Partnering with them will give you legitimate nightmares. Be patient with them, but also establish Rules of Engagement early. Hiring managers who ignore your emails and don't help in resume evaluation to help you calibrate are forfeiting the right to complain about you not bringing in the right candidates. The sooner you realize that “top talent” is on the job market for very brief time periods and the majority of inbound resumes are effectively spam, the better. Deliberately carve out time for outbound sourcing, to engage candidates who aren’t actively looking but may be interested in your company's opportunities. Create options in your candidate pool - don’t wait for the flood of resumes from your job posts to make you feel like you’re busy. After connecting with an amazing candidate who gets you excited, trust your intuition. Show them that you believe in them and set them up for success. After hearing the good, the bad, and the ugly of interviews, you will be equipped with skills that will come in handy for the rest of your life. Your function is mission-critical, and everyone will be watching your performance, even the CEO, even though you thought she didn't know your name. People need you to not only to recruit effectively and help grow their teams, but also to be an ambassador of the company and a pre-made friend to every new employee you helped hire. You will have multiple moments where you want to slam your face onto your keyboard because you’re forced to live in a clunky ATS that makes you feel trapped in 1998. Luckily, there are other tools out there to help with this. Phone rejections are the absolute worst but a necessary part of the trade. But it does get easier over time. It’s okay. It happens to us all. Start diving into reports and data ASAP. It’s a space that’s evolving every day. Few best practices are out there. Ask for help. Find a mentor who is better at her job than you and has the experience to help guide you. Expirement! It's just as important to know what not to do as it is to know what do. Solicit feedback and implement it. Like play some epic scheduling tetris and schedule 10 on-sites in a single day. Help a out-of-town candidate find a hotel at 11pm. Overcome weather woes and rebook a candidate’s flight so that she can make her interview on time, while you’re closing another. After that, you'll realize you can kind of do anything. The candidate you guided through the entire process, advocated for, and maybe even fought hard for – your very first hire. That moment when you raise your fist victoriously at the words, “OK, let’s do it, I’ll sign the offer letter!” you'll know that you changed their life – that moment, will forever be imprinted in your brain and give you the motivation to move forward on tough days. Look around once in awhile and see all the faces you helped bring in and what they're now achieving. Don’t take it for granted. If you liked this post, the amazing Stacy Zapar (The most connected woman on Linkedin!) is hosting a webinar on the lessons from her recruiting career on Tuesday 7/19 at 10 am PST. Sign up for "Oh, the Recruiting Mistakes I've Made! Connect with me on LinkedIn. 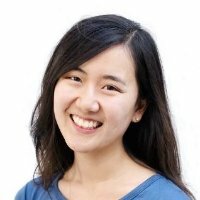 I’m a former recruiter and write about stories, learnings, mistakes, and everything in-between.